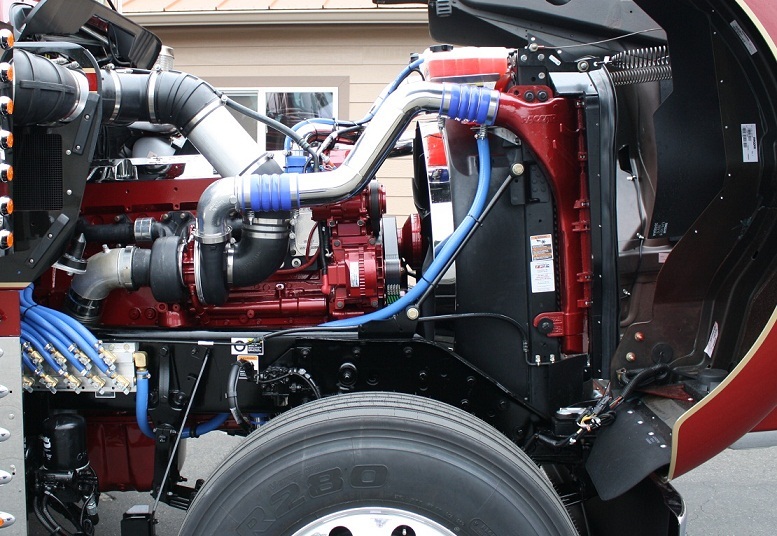 A fan shroud extension ring is required on the new Kenworth and Peterbilt glider kits to allow for proper engagement of the fan blade into the OEM plastic shroud. 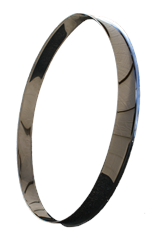 The Kustom Truck Fan Shroud Extension Ring is designed as an alternative to the OEM rubber fan ring. The Kustom Truck fan ring allows for easier installation by mounting into the OEM plastic shroud rather than off of the front of the engine, which also makes for an overall better design. The Kustom Fan Shroud Extension Ring Kit comes complete with the stainless extender ring and rivets for attaching to the OEM fan Shroud. For an alternative to the OEM rubber shroud extension contact Kustom Truck the next time you build a glider kit. To spec and purchase a Glider Kit OEM Fan Shroud Extension Ring and other misc parts for your next glider kit truck call toll free 1-888-564-8890. Kustom Fan Shroud Extension Kit, Fan Shroud Extension Ring, Paccar Fan Ring, Fan Boot, Glider Kit Installation Parts, Peterbilt Glider Kits, Kenworth Glider Kits.